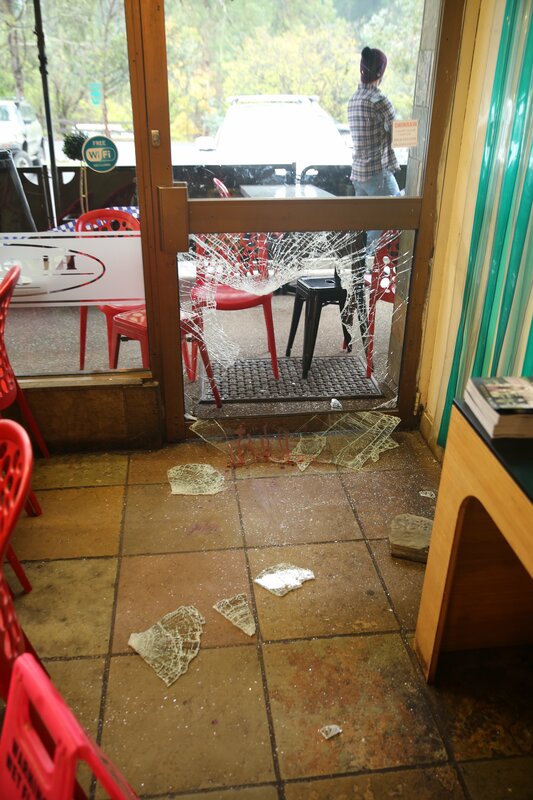 Our riverside cafes in Yarra Street, Riverview Cafe and Thyme on the Yarra, were broken into and burgled in the early hours of Sunday morning, June 5. A thief was captured on video security footage at both cafes and a neighbouring business, however his face was covered. The burglar broke into Riverview (pictured) through a bottom glass panel on the front door and set off with cash registers, cash and a laptop. It was obvious the thief injured himself (police believe his left forearm) as a large amount of blood was found on the floor of the cafe. He also stole $40 worth of tips at Thyme on the Yarra and there was damage to the front door. At the time the Diary went to print Doncaster Police said the thief hadn’t yet been identified. If you have any information about the break-ins contact Crime Stoppers 1800 333 000.